This has been quite a year! In the Summer! 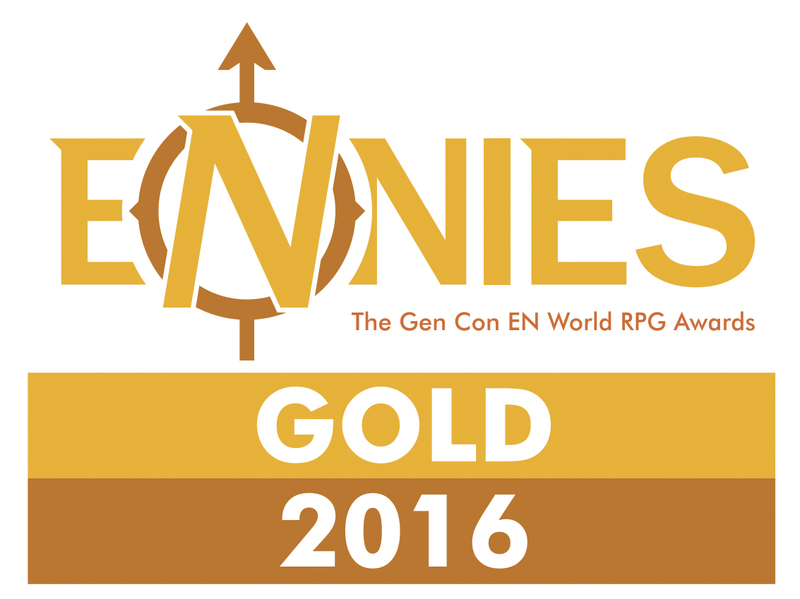 I announced that I was fortunate enough to be selected to join the DMs Guild Adepts program, through which I have published several PDFs with amazing creators on the DMs Guild! 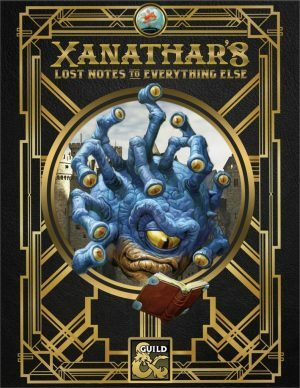 Our largest project to date is without a doubt, Xanathar’s Lost Notes to Everything Else. Behold! 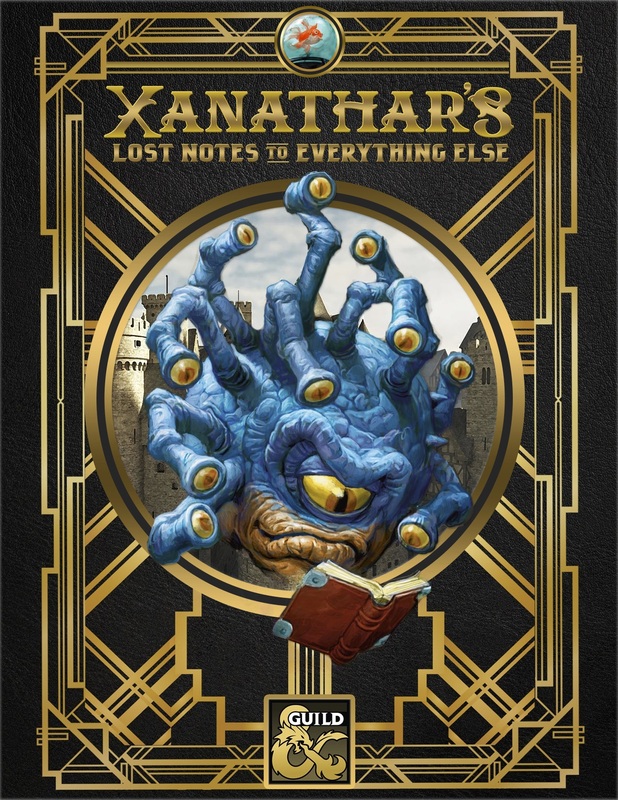 Xanathar’s Lost Notes to Everything Else is a massive collaboration of DMs Guild Adepts that expands the options for players and dungeon masters presented in the D&D core rulebooks and supplements. 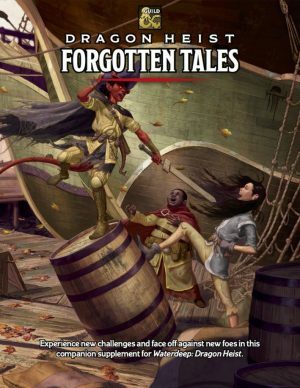 This sourcebook provides a plethora of scribbles, scrolls, and schemes curated by Volothamp Geddarm’s protégé, Aladair, pilfered from Xanathar prior to publication of his Guide to Everything. Presented in the crime syndicate’s unique style, including a high fashion collector’s cover, the DMs Guild Adepts bring you new player options, including subclasses for every class, backgrounds, magic items, a race, DM rules options, and an adventure! 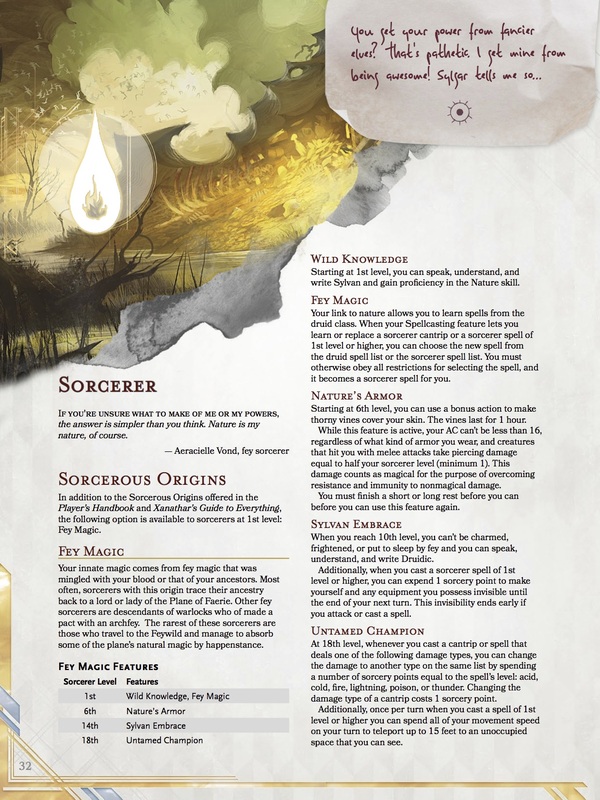 If you want to see one of the subclasses I worked on with Ruty and INCREDIBLE editor James Haeck, check out the Fey Sorcerer! Note the amazing layout and production by Rich Lescouflair! He worked tirelessly on this product and is now getting it ready to create a Print on Demand version! Helluva guy! In addition to Rich, Ruty, James, and me, here’s who else worked on this project! You can get your PDF copy ofXanathar’s Lost Notes to Everything Else right now on the DMs Guild! Scare Your Players with HUNTER! Halloween is coming up and that’s an excellent time to scare you players with a terrifying game! Be it a Curse of Strahd one shot or a battle with a rotted angel, we’re all getting ready to scare our players. 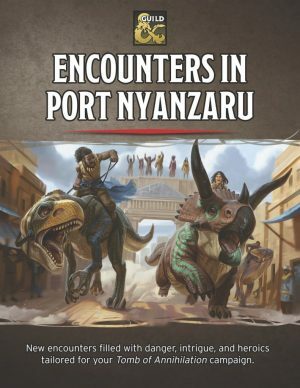 Well I’m happy to share with you my latest DMs Guild Adepts collaboration with the incredible Will Doyle, who is one of the designers who worked on the hardcover adventure for Tomb of Annihilation among many other credits. 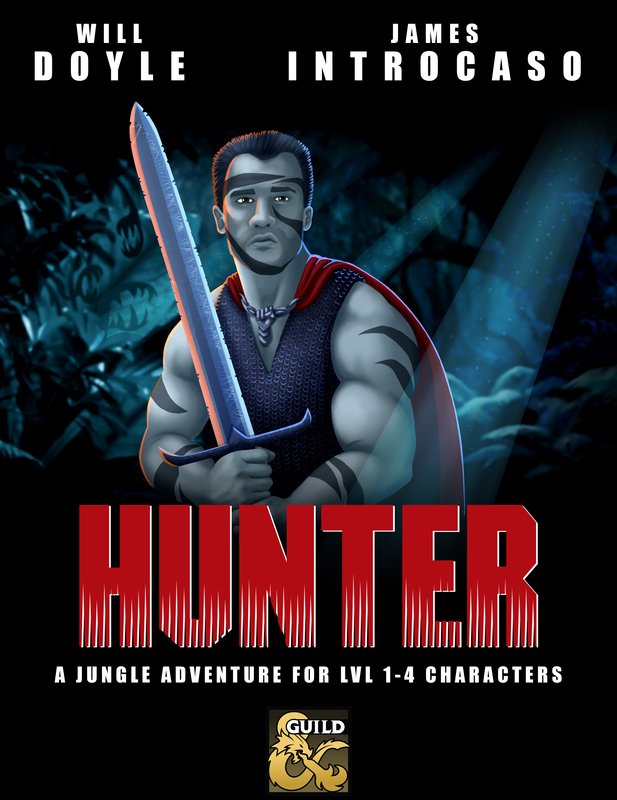 Hunter is tough adventure for 3rd level characters that can be dropped into any Tomb of Annihilation or jungle campaign or played as a Halloween one shot! It’s heavily inspired by the movie Predator if you couldn’t tell from the cover, made my the amazing Stacey Allan. Just what makes Hunter so scary? 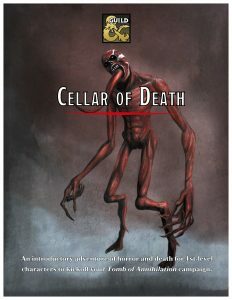 Let me give you a list that you should apply to any horror-themed adventure. Use this as a checklist if you plan to run a scary adventure centered around a monster. The characters are out of their element in an alien jungle. The characters are trapped in a valley. 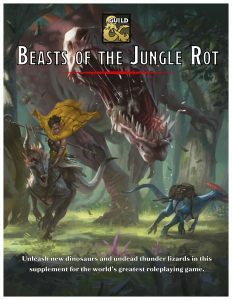 The characters are hunted by a monster far more powerful than they are (in this case it’s the legendary Uluu Thalongh of Chult and Forgotten Realms infamy). The monster has all sorts of creepy, deceptive abilities (in this case puppetting dead bodies and the power to hide in any plant). 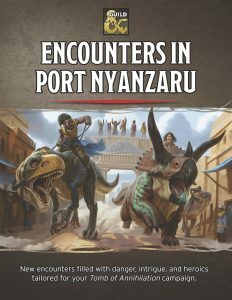 The characters meet some very badass NPCs who are then killed off by the monster before their eyes, demonstrating the creature’s power. Happy Halloween and enjoy being hunted!